Using external trainers can be a good way to bring new skills into the work force, and it increases the training capabilities of small businesses with no or limited internal resources. But it is not always the perfect solution. Before choosing external training, understand its disadvantages and the impact they may have on your business. External training is typically more expensive than internal training. If you send employees to a course with a training organization, you may pay a fee for each participant. Even if you get a discount for sending multiple employees, this can be expensive. But if you hire a trainer to deliver a course at your office, you have to pay his fees. If you hire him to train at an off-site location, you'll also have to factor in venue rental and hiring costs. If you train employees out of the office, they can't do their regular jobs. If you train them internally, they can at least keep on top of urgent tasks before and after training and during breaks. Training a team at the same time may make sense if it gets you a discount, but that team won't be able to work while it is taking the course. This could result in labor, time, productivity and lost opportunity costs. If a training course is not local, you may also have to pay travel, accommodation and subsistence expenses. External training companies create courses to appeal to the broadest possible audience, but this approach might not suit your needs. Generic training can be useful; training that focuses on your specific needs is better. You can work with an external trainer to customize a course, but she may not fully understand your business if she hasn't worked for you. An internal trainer could combine this general knowledge with experience in your environment, adding value to your training. Even if you use an established training company or hire a trainer with a good reputation, you won't know how effective the training is until you, or your employees, have had it. If the training itself doesn't meet your needs, you will have wasted your money. 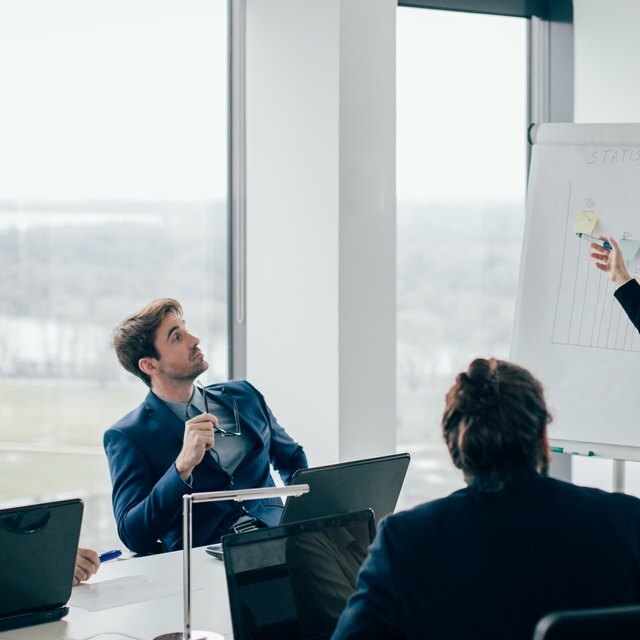 Even if the course content and materials were good, your employees may not learn as much as they should if the trainer was ineffective or lacked communication skills. External trainers may learn more about your business than you might like. Although they may sign confidentiality agreements, their knowledge of sensitive information about your company might not be the biggest problem. Trainers often specialize in working in selected industries and may run training for your competitors. The things they learn about your business and how you work in general might become part of their sector knowledge, giving your competition an inside view of your company. Compliance Zen: FDA Compliance Training -- Onsite Workshop or Offsite Class?